Read Samsung Galaxy Note II (Note 2) Online User Manual now. In this page, the latest English version of User Manual for Galaxy Note II (Galaxy Note 2) for international version of Galaxy Note II (N7105) is embedded so that you can read it without leaving this page. 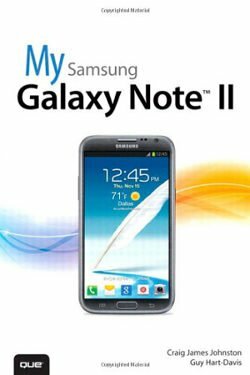 For complete list of the User Manual for Galaxy Note II (Note 2), you may check the Download Galaxy Note II (Note 2) User Manual page. In that page, you can find user manual for various models and in several different languages. If you want to read the online manual for other Note II models, languages, please let us know in the comment box below.